Is grill glow legal in Texas? The short answer is yes, but it’s not without a few restrictions. 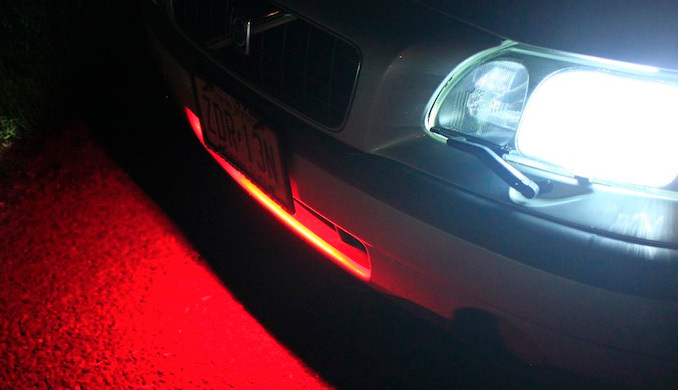 Texas laws don’t prohibit the use of aftermarket or non-mandatory lights on vehicles, so something like grill glow lights would be considered legal. However, flashing, oscillating and other non-stationary lights would be considered illegal due to the distraction they may cause on the road. Before you consider installing those blue LED grill lights on your ride, you need to note that you could stand a chance of being charged with impersonating an emergency vehicle. To avoid any unnecessary hassle, make sure to stay clear of any red or blue glow, flashing, stationary or otherwise! I’ve looked around a little bit but couldn’t really find much. Does anyone know any details about if it is legal or not to have a blue glow behind my grill on my truck? Would save me a lot of trouble of going around asking and searching online. Would i have to put the led below my headlights and make sure the led’s are not visible… only the glow? And can i drive with them on? I found this in the sticky that I have posted within this section. Sec. 547.305. RESTRICTIONS ON USE OF LIGHTS. (a) A motor vehicle lamp or illuminating device, other than a headlamp, spotlamp, auxiliary lamp, turn signal lamp, or emergency vehicle, tow truck, or school bus warning lamp, that projects a beam with an intensity brighter than 300 candlepower shall be directed so that no part of the high-intensity portion of the beam strikes the roadway at a distance of more than 75 feet from the vehicle. (b) Except as expressly authorized by law, a person may not operate or move equipment or a vehicle, other than a police vehicle, with a lamp or device that displays a red light visible from directly in front of the center of the equipment or vehicle. (c) A person may not operate a motor vehicle equipped with a red, white, or blue beacon, flashing, or alternating light unless the equipment is:(1) used as specifically authorized by this chapter; or(2) a running lamp, headlamp, taillamp, backup lamp, or turn signal lamp that is used as authorized by law. (d) A vehicle may be equipped with alternately flashing lighting equipment described by Section 547.701 or 547.702 only if the vehicle is:(1) a school bus;(2) an authorized emergency vehicle;(3) a church bus that has the words “church bus” printed on the front and rear of the bus so as to be clearly discernable to other vehicle operators;(4) a tow truck while under the direction of a law enforcement officer at the scene of an accident or while hooking up to a disabled vehicle on a roadway; or(5) a tow truck with a mounted light bar which has turn signals and stop lamps in addition to those required by Sections 547.322, 547.323, and 547.324, Transportation Code. (e) A person may not operate highway maintenance or service equipment, including snow-removal equipment, that is not equipped with lamps or that does not display lighted lamps as required by the standards and specifications adopted by the Texas Department of Transportation. (f) In this section “tow truck” means a motor vehicle or mechanical device that is adapted or used to tow, winch, or move a disabled vehicle. Acts 1995, 74th Leg., ch. 165, Sec. 1, eff. Sept. 1, 1995. Amended by Acts 1999, 76th Leg., ch. 380, Sec. 1, eff. July 1, 1999.Amended by: Acts 2011, 82nd Leg., R.S., Ch. 229, Sec. 3, eff. September 1, 2011. I read it as you cannot have a blue beacon, or flashing light. It does not really say anything about having a solid on blue light. I would just either call or go talk to someone at the police department about it before running on the truck. Just to be on the safe side. You might get told no and it still be fine. It just depends on the police that tell you the info. Most of them actually do not know the laws about lighting. Alrighty. Thanks for your time and the help! As a heads up, blue is normally illegal while driving with as its normally the offical color of police use. What I would do is just to install it on a seperate switch and that way you can turn it off while in motion, but have it on when you are not in motion. Just an idea.